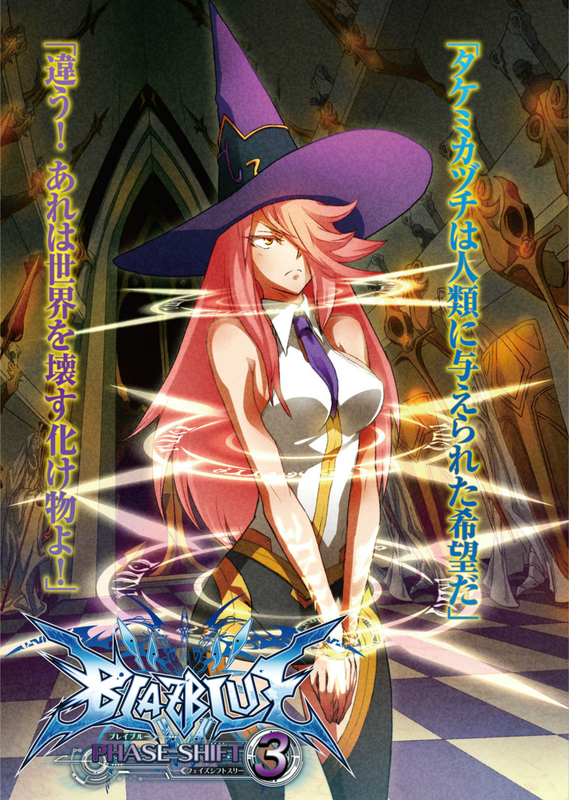 Konoe Ayatsuki Mercury, more commonly known as Nine, is a witch, one of the Six Heroes, and one of the Ten Sages. 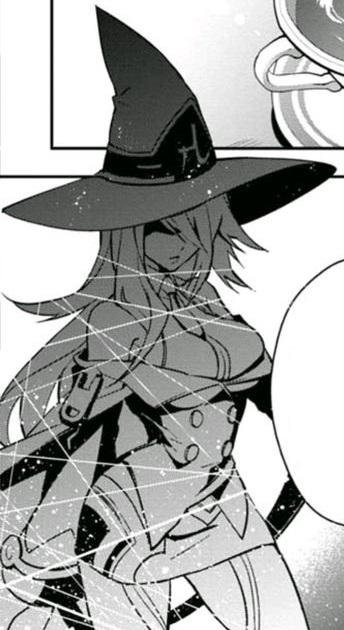 After her supposed death by the hands of Yuki Terumi, Konoe mysteriously came back as the servant of Hades Izanami, Phantom. 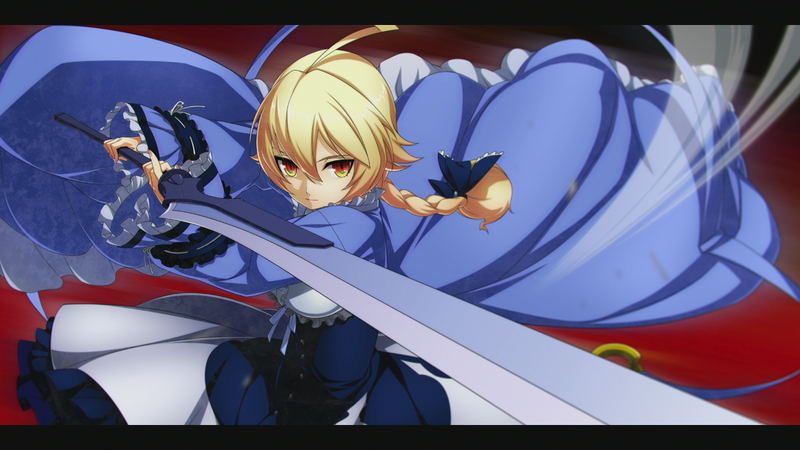 She was mentioned in the series from early on, and finally became a playable character in BlazBlue: Central Fiction. 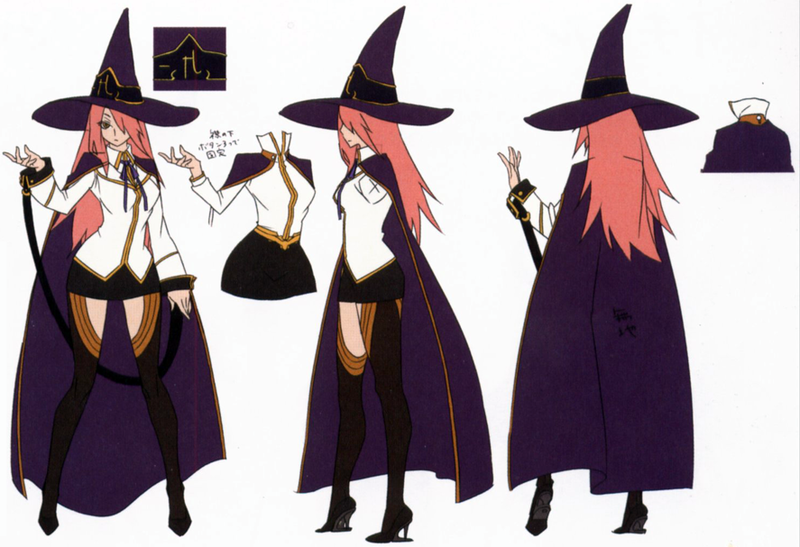 Konoe is a witch who went by the name of Nine. 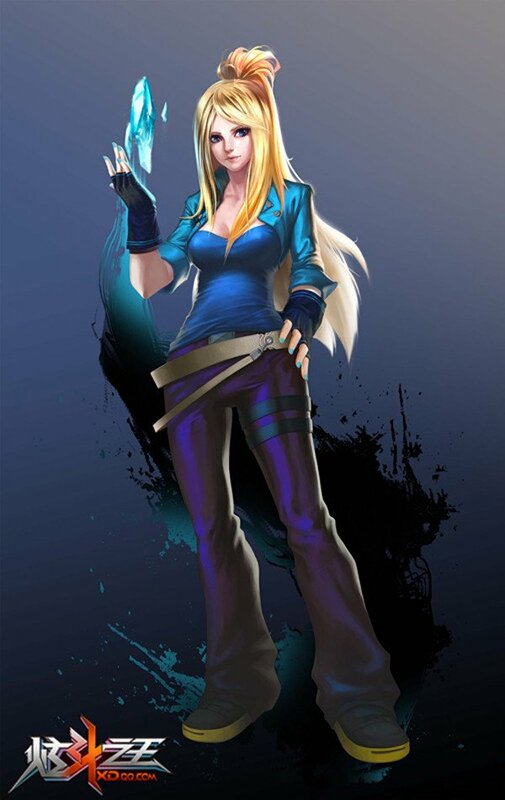 The name "Nine" comes from her being the ninth member of the Mage's Guild's Ten Sages. 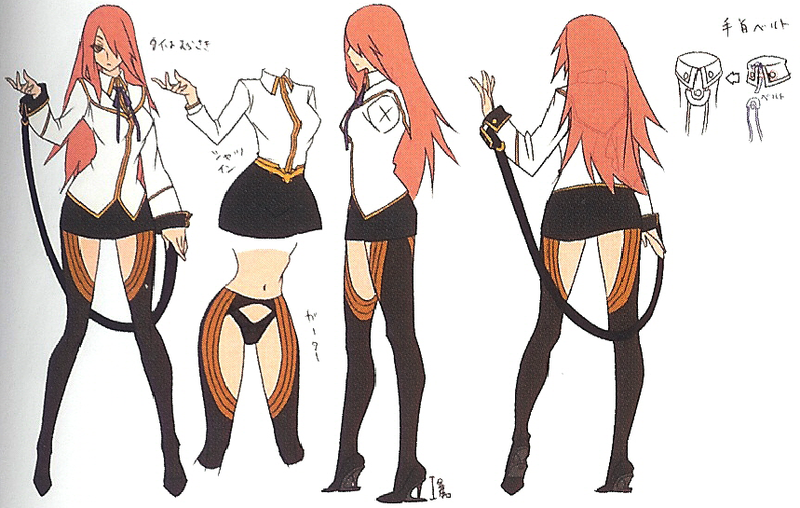 Celica A. Mercury is her younger sister, Shūichirō Ayatsuki was her father, and her mother is deceased. 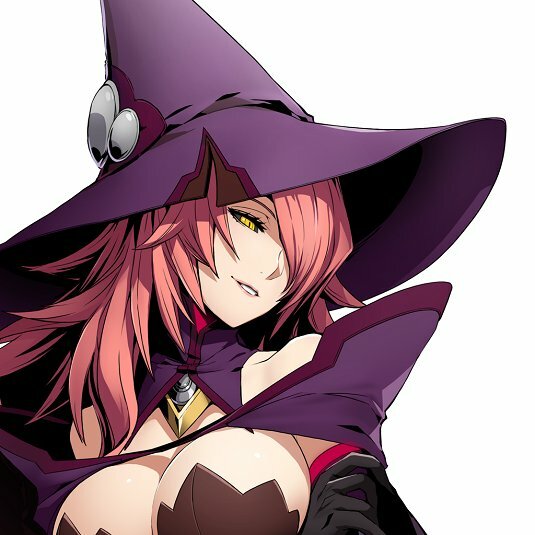 She was the lover of Jubei of the Six Heroes, and one herself, as well as the mother of Kokonoe. She was the first person to achieve the rank of the Ten Sages while still being a student. 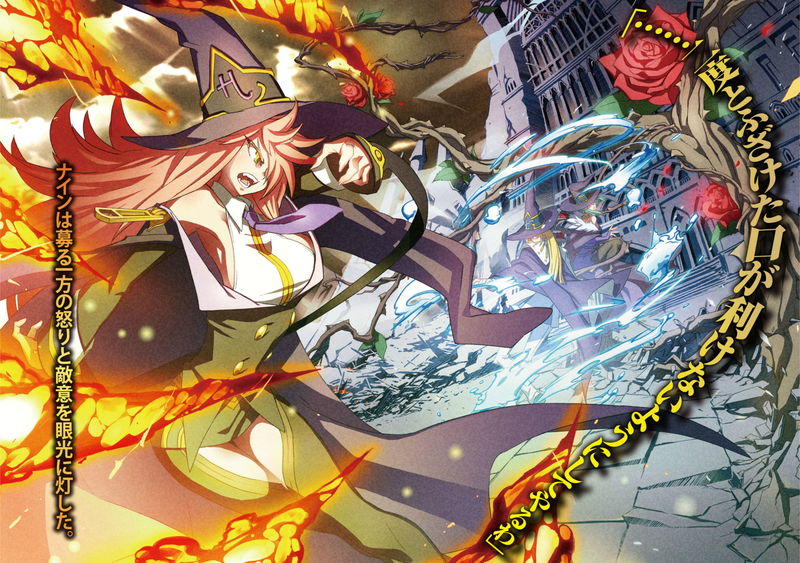 Konoe's role in the story is further explained in the novel, BlazBlue: Phase 0, where Ragna tells her to beware of Terumi. She was chosen as the Ten Sage with absolute authority regarding the Black Beast matter. She passed down her knowledge of magic to mankind during the Dark War. During the Dark War, she created the Nox Nyctores in order to help humans fight against the Black Beast. 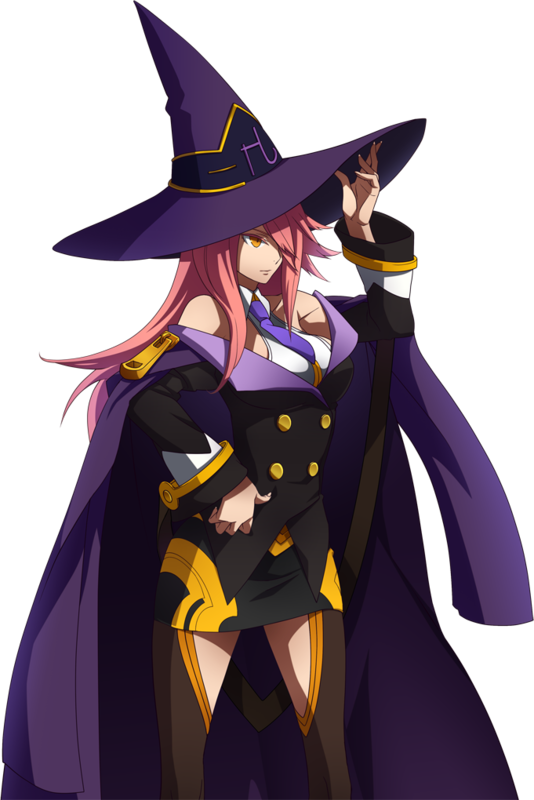 After the war, she discovered what Terumi's future plans were, and he "killed" her, giving Kokonoe a motivation to despise Terumi. She created the Nox Nyctores using human transmutation, a process that requires thousands of human souls. It is said that the magical power used to create Mu -No.12- belongs to Konoe. It is known that the process through which the Nox Nyctores were created involved the compressing of seithr into a solid unit, then implanting the unit with the soul of a Black Beast. This compression spell, known as Infinite Gravity, was used by Konoe to create the Nox Nyctores and defeat the Beast, and later by Kokonoe to implant a Black Beast's soul into Fluctus Redactum: Ignis. 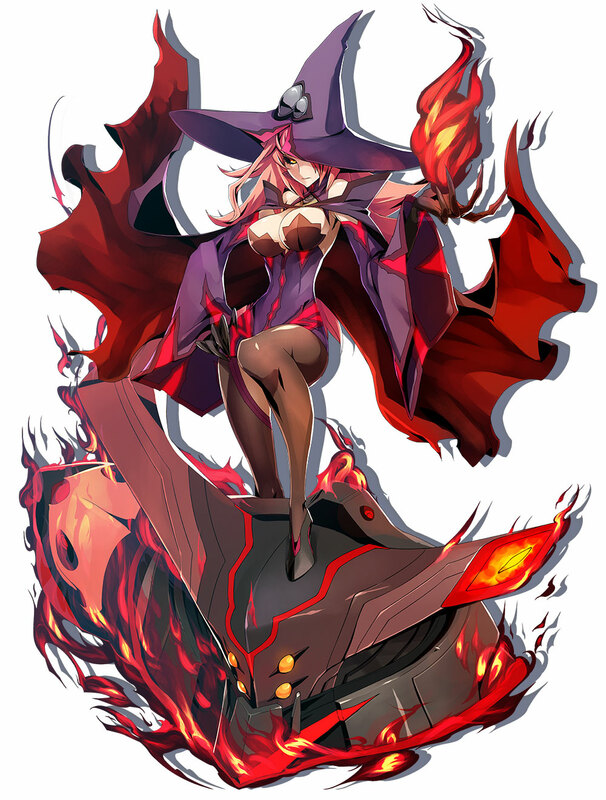 Konoe is also known to be the creator of Burning Red. 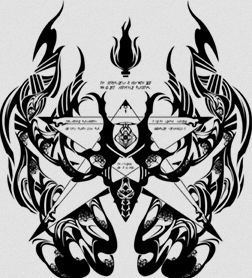 Immediately following the Dark War, Konoe released the souls from the Nox Nyctores, with the exceptions of the Mucro Algesco: Yukianesa, Geminus Anguium: Ouroboros, Arcus Diabolus: Bolverk, and Phoenix: Rettenjo. She and Celica later buried the Deus Machina: Nirvana in the area that would become the 4th Hierarchical City of Naobi many years later. 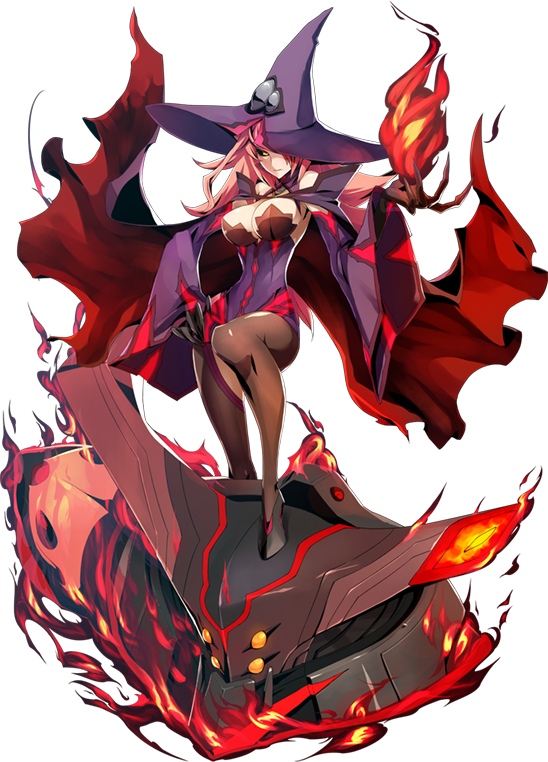 As Phantom, she is responsible for the injuries that plague Jubei throughout Continuum Shift. 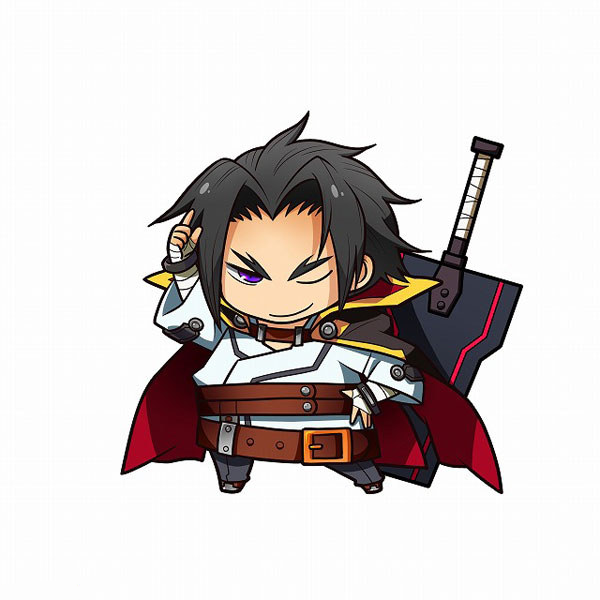 After having encounters with Valkenhayn R. Hellsing, Jubei, Hakumen and Celica A. Mercury, all are left stunned at their realization that she is Nine. 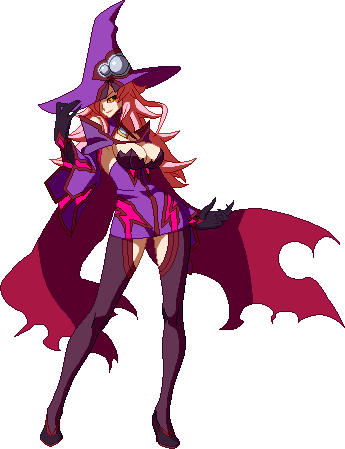 Relius Clover is the one that prepared Phantom's current vessel, while it is Hades Izanami herself that is sustaining her existence. Despite this, her soul is still unstable. She was tasked with preparing the core of the Gigant: Take-Mikazuchi for the Imperator. She encounters Hakumen and Platinum the Trinity, and after Platinum uses her Nox Nyctores, Arma Reboare: Muchorin, it is revealed that she is Nine. 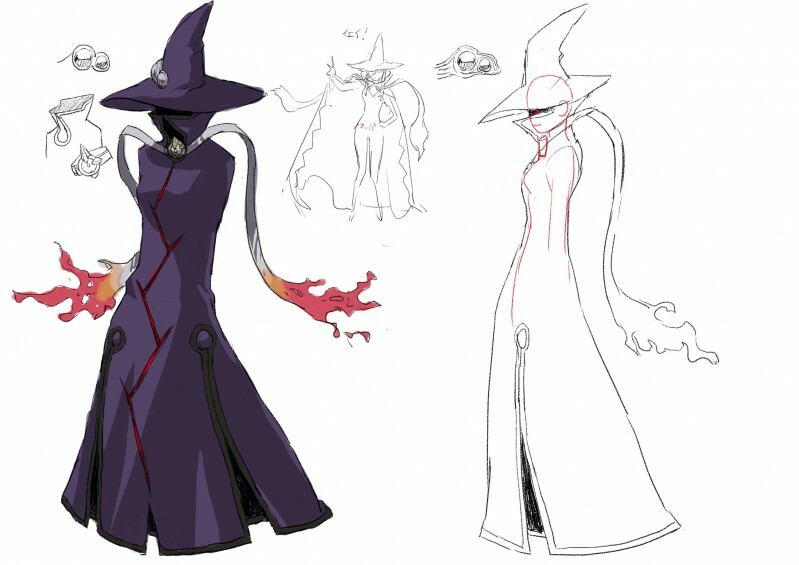 Rachel Alucard theorizes that Terumi pulled Nine's soul from deep within the Boundary and put it into a vessel, making her the "ultimate pawn". However, despite the brainwashing placed upon her, Nine shows signs of resisting, and Hakumen says that her hatred for Terumi still burns. Phantom comes face to face with Jubei after the latter attempts to strike down Hades Izanami. 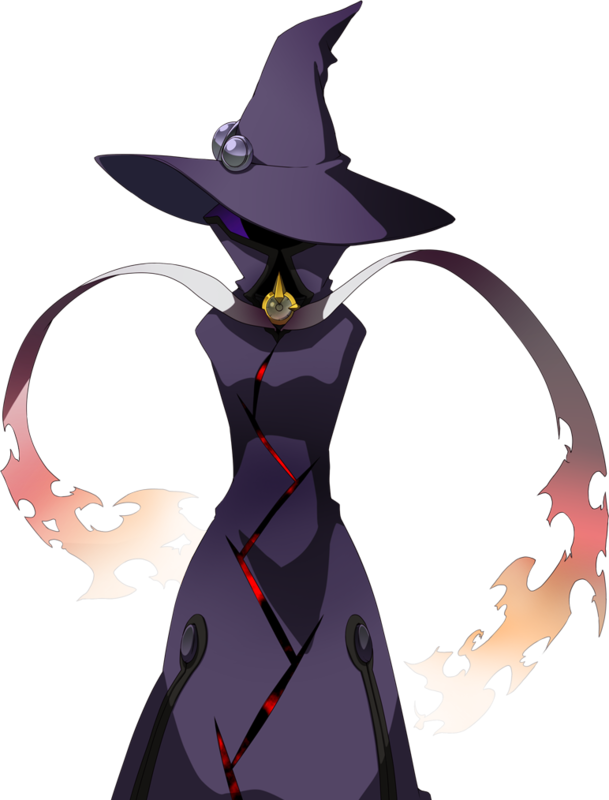 Hades Izanami decided to let her restrictions on Phantom go, and allowed her pawn to fight at her full strength as a brainwashed Nine. After taunting Jubei with her newfound ability to speak once more, the two engaged in combat; it is assumed that Nine was the victor, as she returned to her master's side soon after the engagement. It's not too difficult to make a "cool" witch character design. 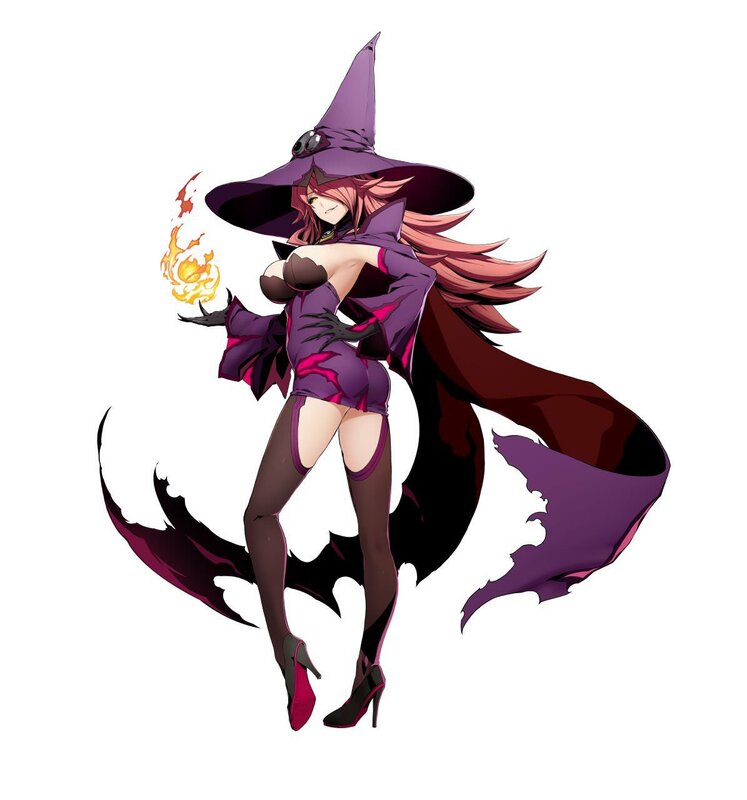 It seems the Blazblue designers finally filled the void of the "witch-girl" anime archetype. Nine seems cool at first glance. I'm interested to see her playstyle.